I've been following My Whole Food Life for quite some time now. Melissa's blog is one chocked full of creative recipes that are vegan and made using unprocessed ingredients. She is quite an inspiration. 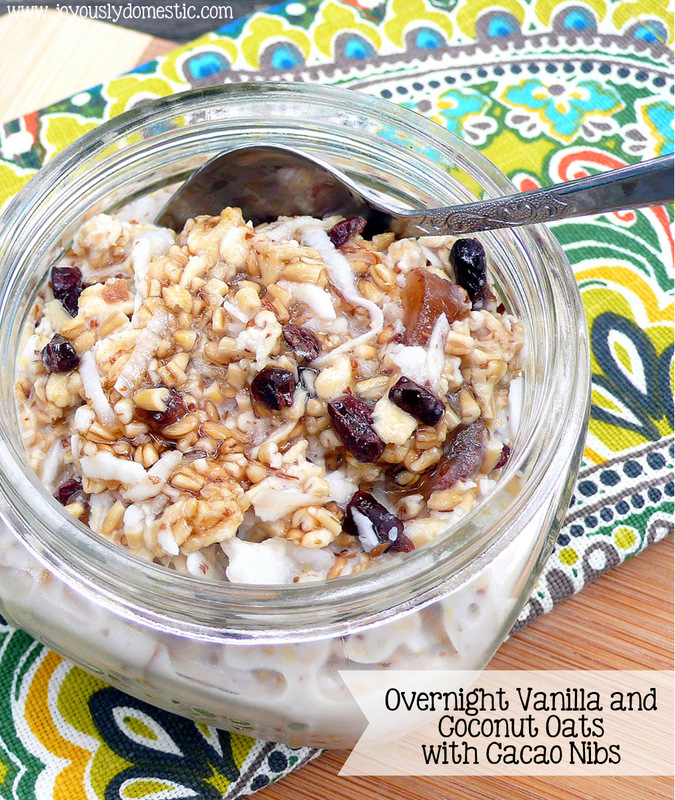 She is known for her overnight oat recipes and I've been wanting to try some of them for a long while now. Since she recommends eating the oats cold in the morning (they can be heated if desired), I was waiting until warmer weather arrived to delve into making some batches. I recently adapted one of her coconut vanilla versions to my liking and I am now officially hooked. I love the texture and healthfulness of this recipe. And, as odd as it may sound, I can't believe how refreshing oatmeal can be when prepared this way. Know that this isn't your typical, hot oatmeal, however. It is meant to be eaten cold and it isn't overly sweet. I can't wait to experiment with other flavors and variations. In my house, we live on steel cut oats made overnight in the slow cooker in the winter months. But, I am totally loving these oats cold out of the fridge now that we're waking up to warm temps here in Michigan. Melissa uses steel cut oats on their own in her overnight oats recipes, but suggests using rolled oats if you don't want that extra crunchy texture and if you desire a smoother result. I used a combination of both and thought it was perfect. This recipe makes enough for one serving. It can easily be adapted to make several servings at once. Store in fridge overnight. Add honey or maple syrup to taste prior to serving. Fresh fruit(s) can, also, be added in at time of service.